And so without further ado here, in no particular order, are our 3 Pinworthy Mentions. I will be sending you your Pinworthy badge to display on your blogs shortly and we will be pinning your beautiful creations to the A Vintage Journey Pinworthies board on Pinterest! 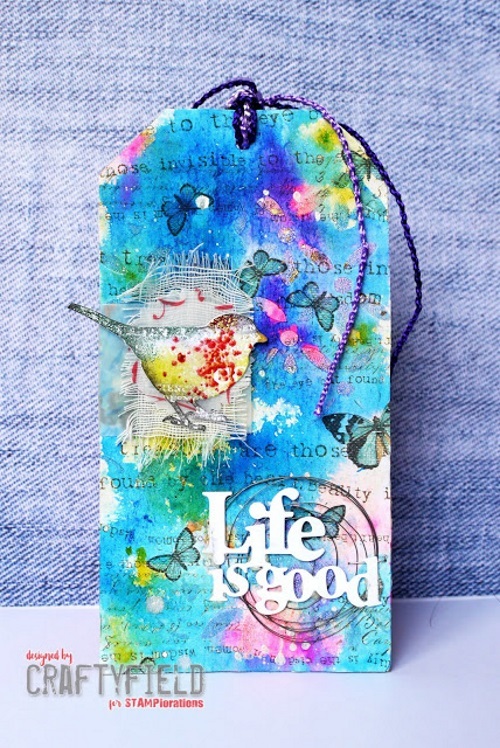 We loved Craftyfield's wonderful bright and vibrant colours with all of that lovely stamping in the background and I personally adore her little speckled bird on that scrap of muslin! 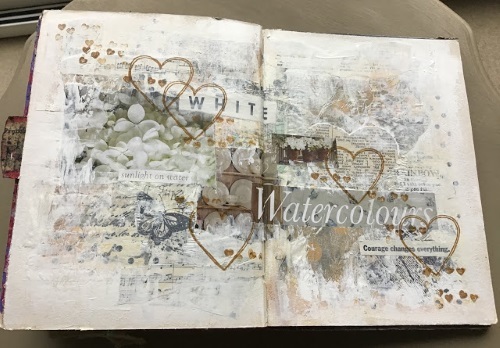 IrinaR took our challenge on completely by using nothing but stamps on her beautifully composed journal pages, we love it! Once again, thanks to each and everyone of you who entered our January challenge and we hope that you will also consider entering our February challenge 'Your Hearts Desire' where Annie would like to see hearts as the main focus of your entry. Can't wait to see what you create! Congratulation to Pinworthies for this month! Fabulous projects! Many congratulations to the Pinworthies - such gorgeous projects from a very strong field of entries. COngratulations, Christine, Hazel and Irina on being our Pinwothy winners . 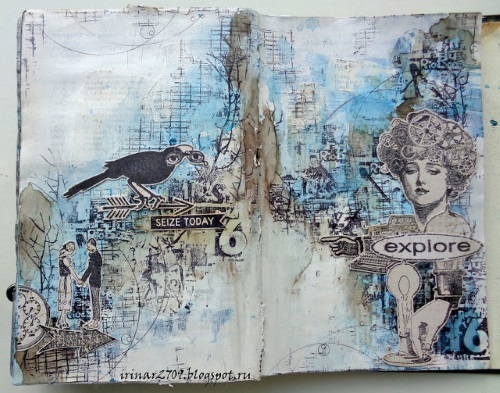 Thanks for sharing your creativity with us . Congratulations, Christine, Hazel and Irina! Thank you for wowing us with your fabulous projects. We had a gallery filled to the brim with amazing entries, too!